Who hasn’t heard of Lovecraft or at least his creation, the monstrous elder god Cthulhu. 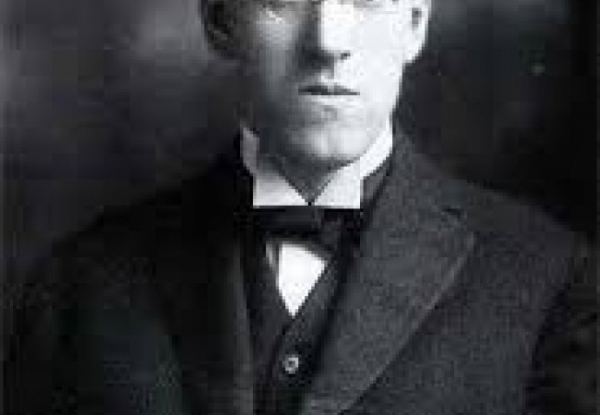 If you are a fan of the Horror genre and are unfamiliar with the works of Howard Phillips Lovecraft I recommend you stop reading this and go find the most easily available copy of any of his stories though I would most recommend for a first time reader one of the following: “At the Mountains of Madness”, “Call of Cthulhu”, “The Shadow Over Innsmouth”, or “The Doom That Came to Sarnath”. These will give you a good idea of what this fellow was all about. I owe my fascination with Lovecraft to my elder brother who was enthralled by his writings in his junior year of high school. He left one of the books laying about one day and I happened to pick it up and start reading. The language was tough at first (he did write in the early 1900’s after all) but after a while I got the hang of it. His stories were fascinating in the same way that a skeleton or an old tomb are fascinating. They brought out feelings of fear and the unknown but also a macabre curiosity for what hides in the shadows at the edges of human knowledge. Needless to say my brother missed the book for a good week or two. After my first readings my dreams were haunted by shadows of fear unseen and unutterable madness at the edge of my awareness. I’d wake the next morning disturbed but hungry for more of Lovecraft’s strange and alien world. I would often imagine that he was not a purveyor of strange fictions but instead a reporter of horrid truths that no self respecting newspaper would publish for fear of ridicule. Therefore in my imagination Lovecraft was forced to present his journalistic research and findings as fictions in magazines of fanciful stories. Though he left the world many years ago before the birth of modern horror, I feel that Lovecraft plays a large role in the genre today. He is referenced in many cult classics and even mainstream horror writers and film makers find inspiration in his otherworldly writings. Though I have never wished to meet the man I have half wished and half dreaded that I might one day run across any of the myriad cyclopean horrors of which he wrote.